My dream is to one day charter an airplane to Tortola. It is the best way to get to the island quickly, and on your own schedule. Yes, it does cost more per person, but many people find the convenience hard to pass up. 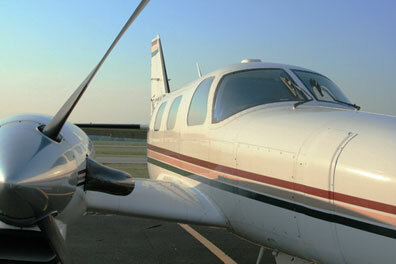 Chartering affords you the luxury of dictating the schedule to the airline instead of you catering to them. This means more sun and fun for you, instead of lines at the check-in counter or passing through security. The best part of chartering a flight is that there are no layovers, you fly right into the Tortola airport. The good news is that there are many more options for charters, than there are commercially. Which means you may be able to shop around a find a better deal. Taking a charter flight to Tortola can cost you a pretty penny, but it doesn't have to. One of the best deals of your vacation can be your charter flight. All you will need is a group of people you can split the cost of the flight with. You see, most charter airlines charge a flat fee for the commute. Which means if you can get a couple of other people to come along with you, then you can save money by splitting the cost between the rest of the people in your group. Some of the more poplular charter airlines include- Island Birds, Caribbean Wings, Air Sunshine, Bohlke International Airlines, and BVI Air Charters (FlyBVI). All of these offer service from different places so make sure the airline will fly out of the airport of your choice before you book. 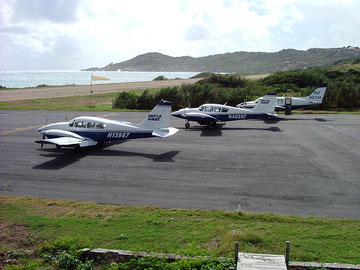 Island Birds is the only charter service that flies directly from the continental U.S. to the Tortola airport. Island Birds flies out of the Ft. Lauderdale Executive airport (FXE). If you can't charter an airplane, there are some other great options to choose from like taking the ferry, getting a commercial flight, or hopping on a seaplane.